Does this pricey mini printer offer premium quality prints? 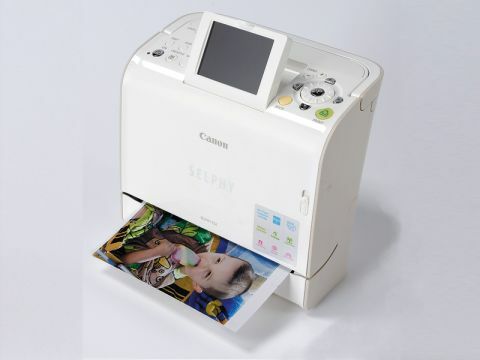 The Selphy ES2 uses a completely different upright design compared with the CP750. Its integrated paper/ink tray means its desktop footprint is much smaller, though it does produce a rather odd paper path, where the sheets first emerge from the front of the printer sideways before being rotated through 90 degrees and drawn back in for printing. The print time quoted is longer than the CP750's but, in practice, our prints came out more quickly (though they still took 12 seconds longer than the quoted time). Considering it's the most expensive of the two Canons, the ES2's results were a little disappointing. Most of the colours in our portrait shot were good, but our subject's skintones were pale and almost one-dimensional. It was quite surprising, then, to discover the ES2's landscape image was just about the best of all, with rich, natural-looking greens and blues.